Forest Friends 6 Pce. 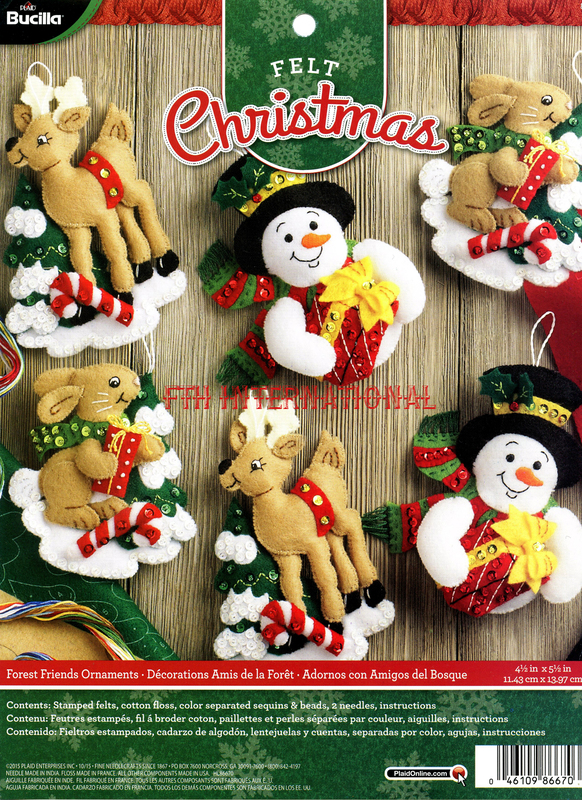 Bucilla Felt Christmas Ornament Kit #86670 - FTH International Sales Ltd.
Bucilla “Forest Friends” 6 piece Felt Christmas Ornament Kit #86670. This kit was purchased direct from the manufacturer. The only way to get a kit in newer condition is to pick it up in person from the factory. Smoke and pet free. 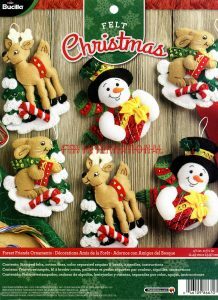 This ornament kit includes ornaments featuring Frosty the Snowman, a reindeer and a little bunny. These are the same characters that are featured on the matching stocking kit. If you love this ornament kit please make sure you check my other listings for the matching Forest Friends stocking kit. The finished ornaments measure approximately 4 1/2 x 5 1/2 inches in size. The bright colored felt and sparkling sequins that adorn these ornaments are sure to brighten your tree, gift packages or anything else you choose to decorate with them. This kit contains everything you need to make 2 each of the 3 different ornaments shown in the pictures for a total of 6 ornaments. If you have fallen in love with the new “Forest Friends” stocking kit you will be sure to enjoy this wonderful matching ornament kit. Whether you want them to go with the stocking or just for their own precious charm I am sure you will not be disappointed in this kit. 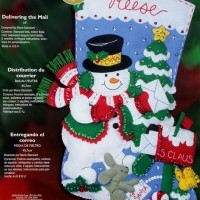 Please keep watching my listings to see other Bucilla felt Christmas kits as they come available. 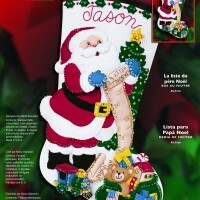 Bucilla felt applique kits are a Christmas tradition. These wonderful ornaments would be a welcome addition to your holiday decor or a great gift for anyone who appreciates a work of love that they could cherish forever. This kit is in Brand New Condition, having recently been delivered from the manufacturer. I carry mainly new inventory that is purchased strictly for resale so these are not old hobby items that have been sitting in a closet gathering dust or getting faded or brittle for a lengthy period of time before being offered for sale. The only way to get these items in newer condition is to pick them up in person from the manufacturer.